Do Hedge Funds Love New Gold Inc. (USA) (NGD)? We have been waiting for this for a year and finally the third quarter ended up showing a nice bump in the performance of small-cap stocks. Both the S&P 500 and Russell 2000 were up since the end of the second quarter, but small-cap stocks outperformed the large-cap stocks by double digits. This is important for hedge funds, which are big supporters of small-cap stocks, because their investors started pulling some of their capital out due to poor recent performance. It is very likely that equity hedge funds will deliver better risk adjusted returns in the second half of this year. 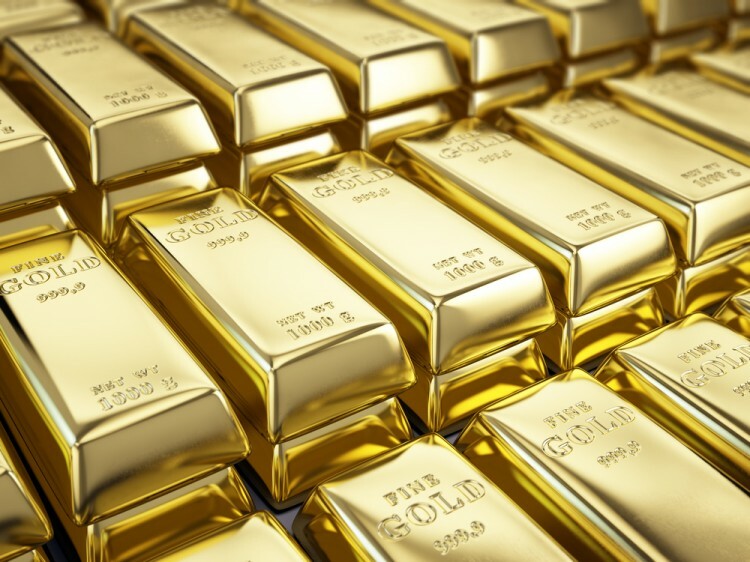 In this article we are going to look at how this recent market trend affected the sentiment of hedge funds towards New Gold Inc. (USA) (NYSEMKT:NGD) , and what that likely means for the prospects of the company and its stock. New Gold Inc. (USA) (NYSEMKT:NGD) was in 15 hedge funds’ portfolios at the end of the third quarter of 2016. NGD has experienced a decrease in hedge fund sentiment recently. 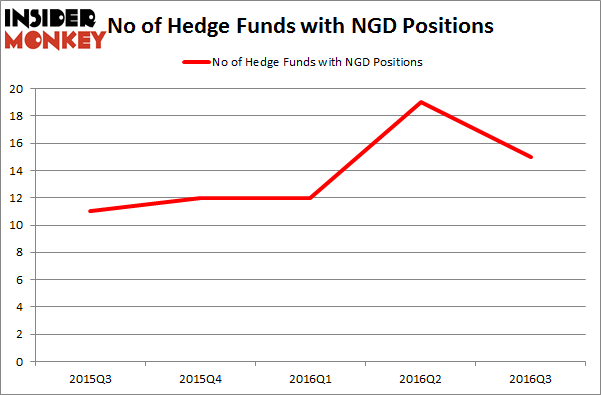 There were 19 hedge funds in our database with NGD holdings at the end of the previous quarter. At the end of this article we will also compare NGD to other stocks including Visteon Corp (NYSE:VC), Laredo Petroleum Holdings Inc (NYSE:LPI), and InterOil Corporation (USA) (NYSE:IOC) to get a better sense of its popularity. What have hedge funds been doing with New Gold Inc. (USA) (NYSEMKT:NGD)? At the end of the third quarter, a total of 15 of the hedge funds tracked by Insider Monkey held long positions in this stock, a fall of 21% from the previous quarter. Below, you can check out the change in hedge fund sentiment towards NGD over the last 5 quarters. With the smart money’s positions undergoing their usual ebb and flow, there exists an “upper tier” of notable hedge fund managers who were upping their stakes considerably (or already accumulated large positions). According to Insider Monkey’s hedge fund database, Arrowstreet Capital, led by Peter Rathjens, Bruce Clarke and John Campbell, holds the number one position in New Gold Inc. (USA) (NYSEMKT:NGD). Arrowstreet Capital has a $40.3 million position in the stock. Coming in second is Jim Simons’ Renaissance Technologies, which holds a $34.3 million position. Other professional money managers with similar optimism comprise Andrew Feldstein and Stephen Siderow’s Blue Mountain Capital, David Iben’s Kopernik Global Investors and Eric Sprott’s Sprott Asset Management. We should note that two of these hedge funds (Kopernik Global Investors and Sprott Asset Management) are among our list of the 100 best performing hedge funds which is based on the performance of their 13F long positions in non-microcap stocks. Is Bottomline Technologies (EPAY) A Good Stock To Buy? Is Cryolife Inc (CRY) A Good Stock To Buy? Is Cohu, Inc. (COHU) A Good Stock To Buy Right Now? Is 2U Inc (TWOU) A Good Stock To Buy? Hedge Funds Are Selling Concordia International Corp (CXRX) Is Tobira Therapeutics Inc (TBRA) A Good Stock To Buy?